Dr. Kiran Bhairannavar received his PhD from the National University of Singapore in 2017. 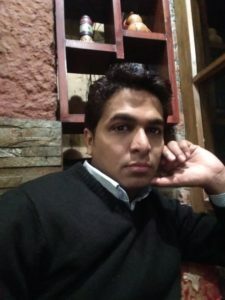 Currently he holds the position of Assistant Professor at the department of geography, Delhi School of Economics, University of Delhi. Dr Bhairannavar specializes in geographies of sexualities and Queer geographies. His research interests include Urban Social and Cultural Geography, Sexualities, Gender, Migration, Energy and Environmental Ethics.